Editor’s Note: Over the last three years, Sarah Bunin Benor, Jonathan Krasner, and Sharon Avni have visited and surveyed Jewish summer camps across North America to learn how Hebrew is incorporated at camp. This research is a project of the Mandel Center for Studies in Jewish Education at Brandeis University, with funding from the Consortium for Applied Studies in Jewish Education (CASJE). Next week at Foundation for Jewish Camp’s Leaders Assembly, the researchers will share some of their findings and offer an interactive space for camps to share experiences and best practices. This spring, they will release findings from the survey portion of the study of Hebrew at camps. The piece below, written by Benor, offers insight into one aspect of this research—“Hebrew infusion.” CASJE is pleased to share it, and looks forward soon to sharing the research in its entirety and engaging funders, practitioners, and other researchers in meaningful conversations about applying the learnings to practice. With all this Hebrew, it may seem that Camp Galil is geared toward Israelis and other Hebrew speakers. However, this is not the case. Although some of the announcements are made in Hebrew, most of the activities are conducted in English, and most campers are not proficient in Hebrew. This is an approach to language that I call “Hebrew infusion.” In contrast to immersion or other methods of traditional language pedagogy, infusion exposes participants to fragments of Hebrew through a different primary language of interaction (in our case, English). The goal of infusion is not language proficiency, but a sense of connection to the language and to others who share that connection. Hebrew infusion can be found in various forms and to varying extents at most of the 160+ Jewish residential summer camps in North America. This article introduces the idea of Hebrew infusion, based on research I’ve conducted on Hebrew use at North American Jewish summer camps in collaboration with my colleagues Sharon Avni and Jonathan Krasner. This study involved observations at 36 Jewish camps across North America (ranging from secular to Haredi), interviews with about 200 staff members and campers, and a survey of over 100 camp directors. My thinking on infusion is influenced by Netta Avineri’s concept of “metalinguistic community,” which came out of her analysis of Yiddish in the United States. Through our research, we found that most camps do not teach Hebrew formally, but a large majority incorporate Hebrew words and recitation in various ways. Galil is on the more intense end of the continuum; most camps do not use full Hebrew sentences for announcements. But all camps we found recite Hebrew blessings/prayers or sing Hebrew songs, and most have Hebrew names for some activities, camp units, or bunks, as well as Hebrew signs around camp (either in Hebrew letters or transliteration). For example, at Camp Alonim, a pluralistic camp in California, the units include Sabras (Israeli cactus), Tzofim (scouts), Nachshonim (initiators), and Kochavim (stars). At URJ Jacobs Camp in Mississippi, the Maccabiah (color war) teams have Hebrew names (Kahol/blue, Yarok/green, etc. ), and locations around camp are marked with artistic stained glass signs. Note this camp director’s use of “infuse.” And note how he discusses what his camp is doing in contrast to formal language instruction. This is an important hallmark of Hebrew infusion. 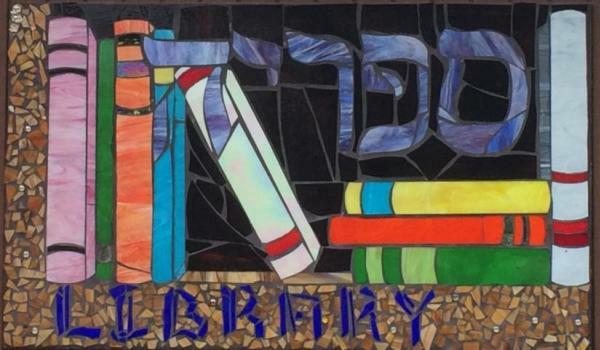 In contrast to traditional language pedagogy, whose goal is language proficiency, the goal of infusion is connection to the language and, especially, the group, which could be the camp community, Zionists, Israelis, Jews around the world, etc. Singing Hebrew songs, posting Hebrew signs, and incorporating Hebrew words into English sentences are just a few of the means to achieve those goals. In fact, although only half of camp directors report the goal of strengthening connection to Hebrew as primary or important, the vast majority report goals of “Enhancing personal Jewish identity” (96%), “Strengthening connection to the Jewish people” (93%), and “Strengthening connection to the State of Israel” (89%). In interviews, many camp directors report that Hebrew infusion plays a role in achieving these goals of connection at their camps. “Infusion” is a useful metaphor for a number of reasons. When you drink berry-infused water, you get hints of the berry; you cannot bite it. In situations of language infusion, a flavor of the language is infused into the environment and, potentially, into participants; they do not necessarily have access to the language itself, only hints of it. Just as bits of pulp may be palpable in a drink, participants can generally recognize the Hebrew words as distinct from the English sentences around them. Just as there are gradations of infusion (some drinks have only a hint of flavor; others are closer to juice), some camps are more infused with Hebrew than others, as are some activities and even sentences. And just as a bartender decides how much fruit to infuse into a drink, camp administrators and staff members decide how much Hebrew to infuse and when to change the amount or type of Hebrew. A good metaphor makes you think about things in new ways. Since I came up with the metaphor of Hebrew infusion, I feel I have gained a better understanding of how Hebrew is used at Jewish camps. As we continue to analyze our data, we will further develop this metaphor. In the meantime, I hope that Jewish educators and communal leaders in other groups with a special language will also find the metaphor useful as they think about how they use — and might use — their special language.